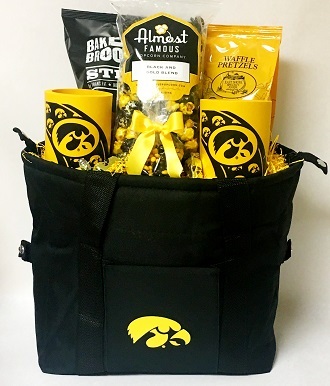 This 12 pack insulated cooler is a great gift for the Hawkeye fan! 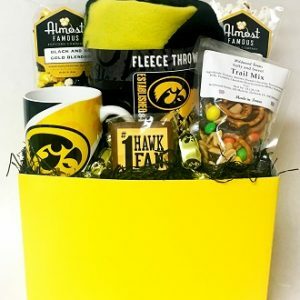 Inside is baked Dijon snack sticks, waffle pretzels, popcorn, gold and black candy coated chocolate covered sunflower seeds, Herky chocolates and two Hawkeye coozies. The cooler folds flat for storage. 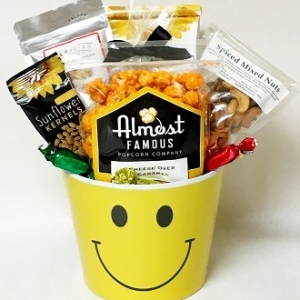 Ask about the many Hawkeye gift items that may be added. 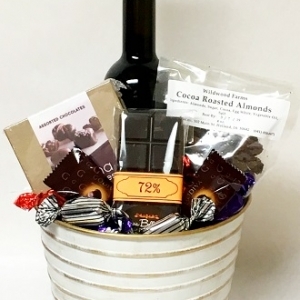 Gifts include mugs, water bottle, travel mug, glasses, car coasters, golf balls, golf towel and many more. 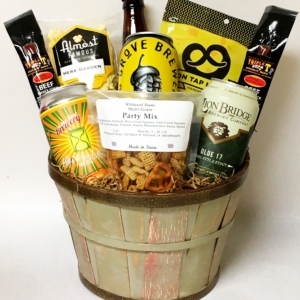 Beer is a nice addition to this design also.